Paul Gauguin Cruises is definitely one of the most well-known cruise leaders in the industry. Embark on a getaway with Paul Gauguin Cruises and expect a slew of generous on-board amenities, a catering service staff, and a truly spectacular fleet. 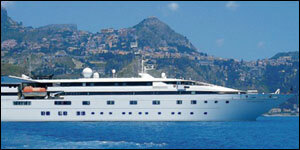 RedHotCruises contains many types of cruises with Paul Gauguin Cruises at unbeatable rates. On this page, you can browse all destinations, departures and ships available with Paul Gauguin Cruises. Availability is very limited, so order online with us quickly to lock in your cruise with Paul Gauguin Cruises before it sells out completely. Get a hold of us at (844)235-4177 or email us to speak with a cruise expert and we will find the perfect cruise for you.